When can I expect my carpet to dry? Depends, the higher humidity in the air the longer the drying time. Generally, just a few hours. Are you sure my carpet warranty won’t be voided upon cleaning? Yes, Jake uses the Bane-Clene System- learn more about how this works! How often should I get my carpets and upholstery cleaned? 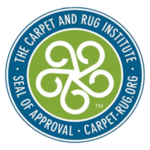 It is recommended you get your carpet and upholstery cleaned every 6-8 months. Perhaps every 4 months if someone in the home has breathing trouble. Green cleaning products? Will my carpet even get cleaned? Our cleaning agent has been fully tested and proven to actually clean carpet and upholstery better than other agents. Carpets are deodorized and left cleaner and softer than before! Is your cleaning agent safe for small children and pets? Why do some stains reappear after a professional cleaning? This occurrence is common and it’s called wicking. What happened- the stain appeared to be cleaned, however, it still existed at the base of your carpet. When the carpet became moist upon the cleaning the stained slowly traveled upward, it “wicks up.” Rest assured, this stain can be removed since it had once before. You may not realize it is appearing until the carpet is neared drying time. Do I have to move my furniture? Talk about that with Jake. Jake offers a price based on moving furniture for cleanings or cleaning around large furniture. What are the types of stains Jake can treat? All kinds! We can even take care of stains left behind by your last professional cleaning.